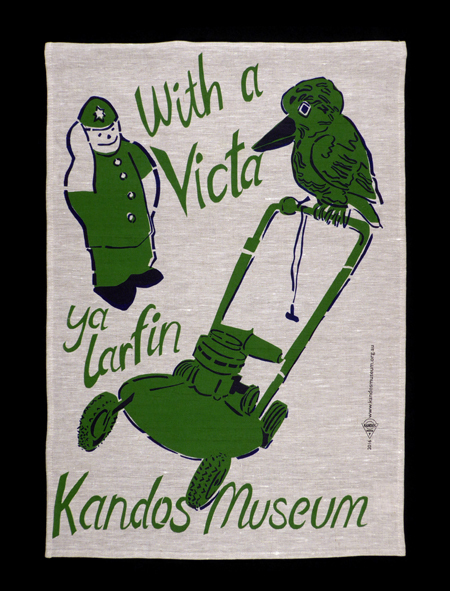 Printed on 100% oatmeal linen at Kandos Museum. 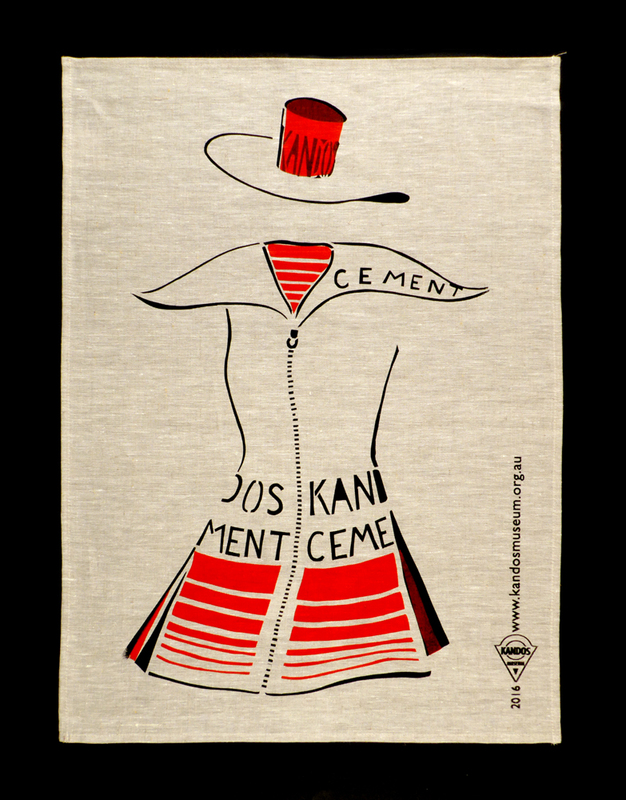 This Tea Towel celebrates Kandos Cement and was inspired by the “Cement Bag Dress” fashioned from Kandos Cement bags by Annaleigh Moore for the 80th Anniversary of the founding of Kandos. 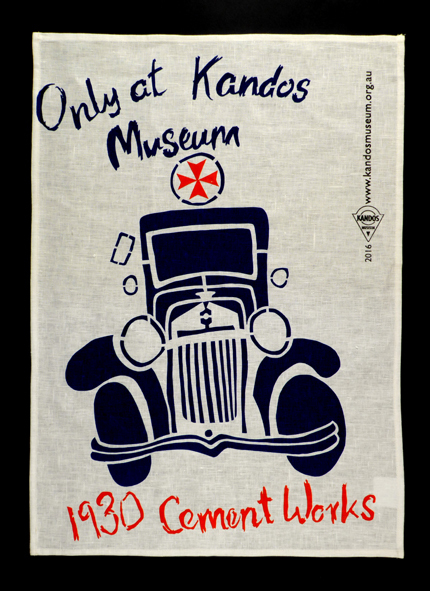 Designed by Kate Hodgkinson, this towel is 100% linen and printed using eco-friendly inks by museum volunteers.